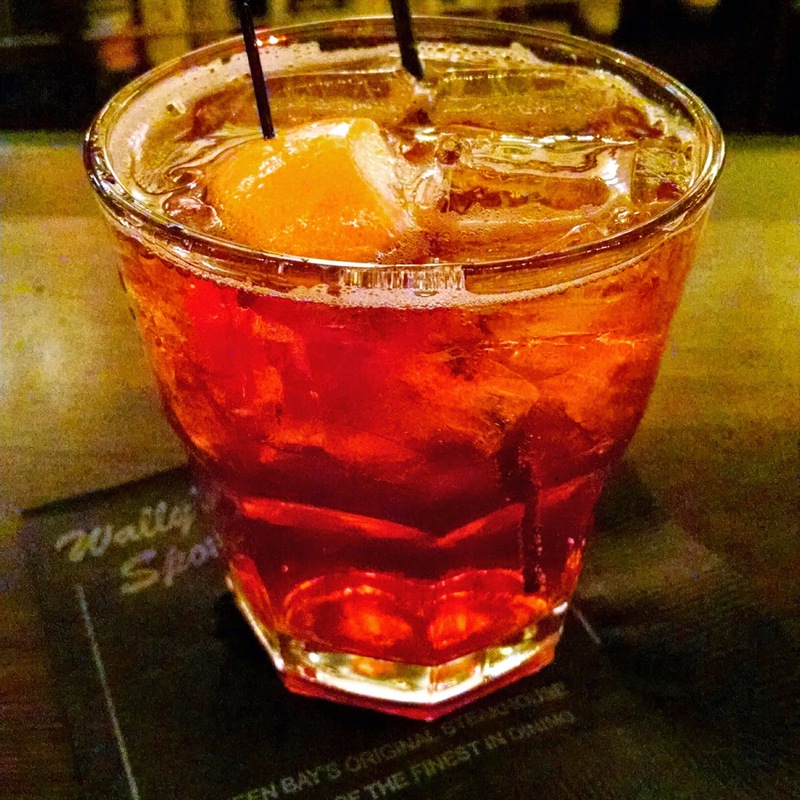 We came back for a visit to Wally's Spot Supper Club after being away for way too long. 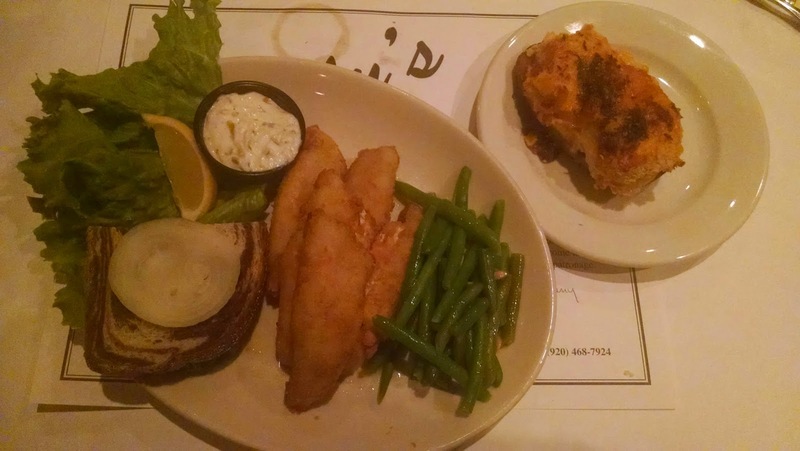 Wally's Spot makes our top 5 list for a great fish fry. 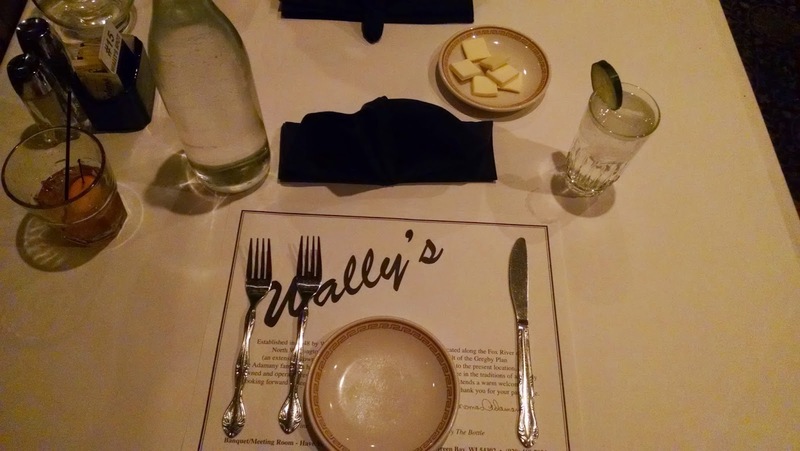 Wally's Spot is on the east side of Green Bay and has a 65 year history of "...the finest dining in Green Bay". We arrived at 7:00pm and it was just two of us dining. The bartender took our drink order and we both got brandy old fashioneds of course. 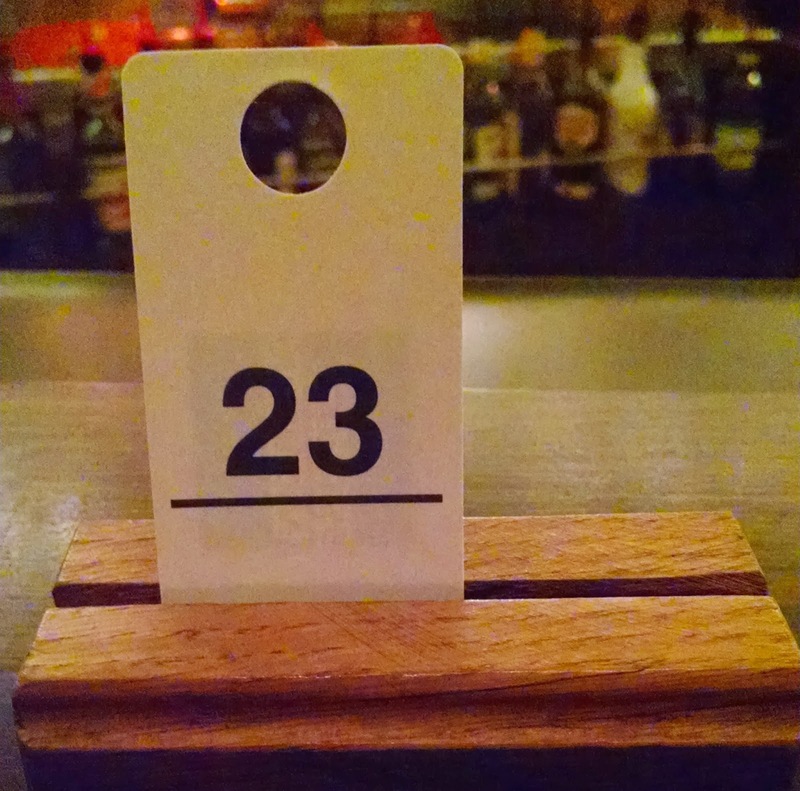 The bartender gave us a number as we waited for our waitress to arrive and take our order. The brandy old fashioneds were not muddled but tasted really good and were mixed well. Wally's Spot offers Hors d'oeuvre of crackers, bread, cheese spreads, and liver pate in the bar area for something to snack on as we waited. The liver pate was alright, but tasted more like Braunschweiger, but its a minor detail only I would comment on because I love liver pate. We had a short wait of 20 minutes until our waitress arrived to take our order. We were invited to our table right away, Chad was able to enjoy the salad bar with his entree choice of prime rib, I had an option of soup or salad. A bread basket was served at the table. The salad bar has some great offerings and I ate some off Chad's plate as I waited for my soup. Our waitress was great and friendly, but it took more than 30 minutes after finishing our soup and salad for our food to arrive. I wasn't disappointed really, but it was quite a long time from the time we were invited to our table to when the food arrived. As we waited, Wally's Spot always offer a chef's choice sampler, and this time it was a fried catfish with a little homemade tartar sauce. It was alright, I much prefer the perch to the catfish. Our food arrived and I was hungry and eager to taste the delicious fish fry I remember from last time. Wally's Spot is a supper club and they do put on a great presentation. The fish was perfectly fried and crispy as I remember it from last time, very pleased it was just as good. I chose a twice baked potato as my potato choice, and they make a homemade twice baked loaded potato and it tasted great! The side of beans were cooked perfectly. The meal topped off with a slice of rye bread with white raw onion. There was one thing missing from the fish fry, and that was the cole slaw, which disappointed me. I was given the option of a salad or soup, and I chose the soup; the salad bar with the fish fry would be extra. I don't think cole slaw is optional with a fish fry, but that's just my opinion. 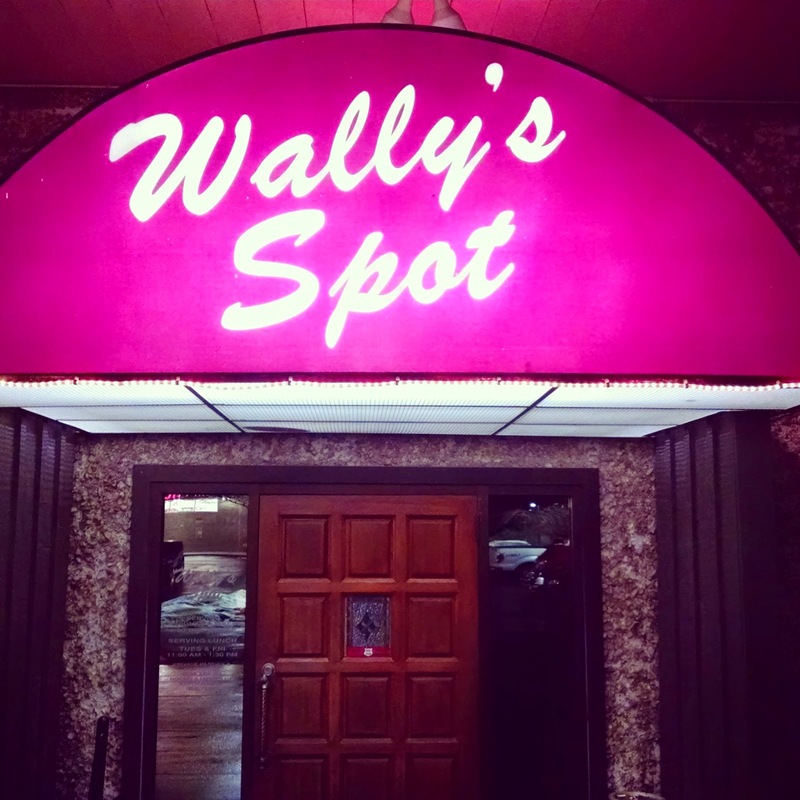 Wally's Spot Supper Club didn't disappoint this time and they put on a great meal. The price did go up a bit since last time, and the lack of cole slaw drops it down to "barely a classic Wisconsin fish fry", but I still love this place. You must get the twice baked potato when you dine here, it's the best I've had anywhere! Eddie Whipps Dining Hall is out in the country and has a rich history in the area dating back to 1922 and has been family run ever since. Check out the history on their website. What began as a church, turned into a tavern, and eventually the dining hall we know today serving up Sunday and Wednesday homemade chicken dinners and Friday fish fry, and hosting weddings and banquets on Saturdays. There were 3 of us dining on the day after Christmas. We arrived at 7:00pm and our wait was about 20 minutes, not bad for a usually busy and popular place. We asked the bartender for our number and ordered brandy old fashioneds. The welcome sign showed they were offering a cranberry old fashioned, but it was all sold out by the time we arrived. As we waited we ordered an appetizer of cheese curds which took quite a while to show up, and the waitress apologized for the delay. The cheese curds were good but a bit on the greasy side. After about 20 minutes, a waitress called us to our table. Once seated, our order was taken promptly, 2 of us got the perch platter and one the chicken dinner. Whipps Dining Hall is just that, the dining room is a large open room with banquet style tables and a no-frills setting. There were several tables of large parties of 10-20 people, probably some family Christmas gatherings. Our food arrived in short order and we started on our meal. The perch had a good flavor, but was not crispy as I had hoped, it wasn't quite soggy but the texture wasn't quite right. The potato salad I got as a side was pretty good, as was the coleslaw, although served family style. I have to say I wasn't overly impressed with what Whipp's Dining Hall has to offer for a Friday Fish Fry. It's a no-frills banquet hall setting, which I'm fine with, but with the perch lacking any crunch to it, and the presentation on the plate looking empty, it didn't seem like that great a fish fry. Still, it's a local business that has served the community for over 85 years and is very popular, so it's worth a visit and make your own judgement.